…………………………..auTOOOOOOOOOOOOOOOOOOOOO! | SnL World !!! 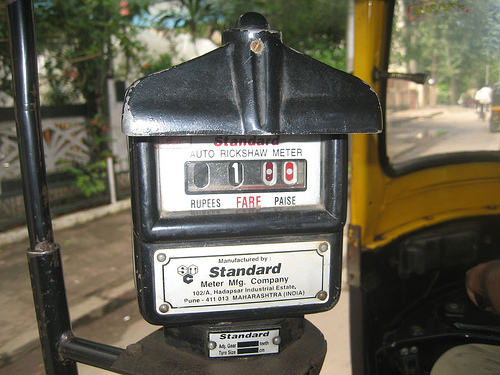 Its a common thing in ‘Namma Bangalore’, they don’t know to use, in fact hey don’t want to use Meter . Most of the auto drivers wont come to the place where you want go and others who are willing don’t want to strain their meters. Other day when I took out my cousin; who is from “aamchi Mumbai” she was shocked listening to my bargain with the auto driver. She said “this doesn’t work in Mumbai, people don’t travale without meter”. I smiled and said “here its common, they think we have money plants. When they spin their auto in all roads they think all we have to do is pluck money from that plant. Buggers! !” My cousin just smiled, may be she was happy to be in Mumbai I thought. Auto drivers here have no rules and regulations. Rules they make and nobody above them to stop. They charge 1 and half before the time, choose long way when meter is on , they literally loot the passenger. When the person is new they rob him without mercy. Wait a second did I mention about the torture women have to go through sitting in the back seat while 2 mirrors are focused on them?Instead of seeing the vehicle coming from backside they see the woman sitting, they stare and sometimes they….well you can imagine. There were cases where I almost jumped from running auto. Don’t conclude that all auto drivers are bad and cruel. There are some auto drivers who so so good. They use meter, choose the shortest road, guide you if your new to place. They respect you and make yourself wonder “good auto driver exists in Namma Bangalore?”. Their honesty simplicity makes you go gaga.